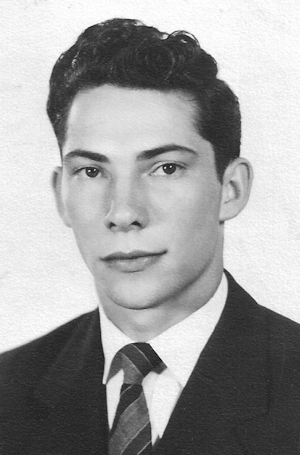 Obituary – Lynch, Robert Eugene « Perry High School Alumni Association, Inc.
Robert E. Lynch, 71, of Edmond, OK, passed away Wednesday, June 24, 1998. He was born September 15, 1926 to Charles and Frances Lynch of Perry, OK. He attended Perry public schools, and graduated from there. He earned a BS degree in commerce from Oklahoma State University. Lynch married Carol Jean in 1953, and together they raised four children. He was a veteran of WWII, Korea, and served in the National Guard for a total of 20 years. He served as a company commander of the Edmond 45th division, and retired as a captain. He was preceded in death by his parents, and 2 brothers; Harold and William Lynch. Funeral services will be held at 10:00 A.M., Saturday, June 27, 1998, at St. Mary’s Episcopal Church, Edmond, with burial to follow at Gracelawn Cemetery.